DRP Group has acquired London-based multimedia production company Grosvenor TV. 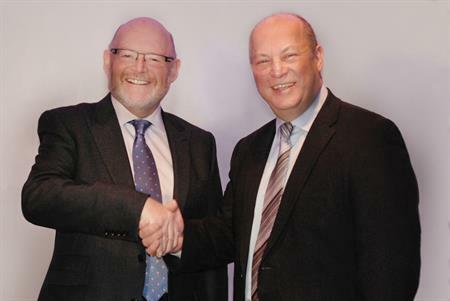 The agency revealed in a tweet on Friday that it was proud to announce that DRP Group had expanded its family with the acquisition of Grosvenor TV. The move will see DRP's video team expand by six people, with the new team members continuing to operate under the established Grosvenor brand and out of its Golden Square offices. Grosvenor TV, established 26 years ago by Des Good, specialises in video production for a range of high profile clients such as the Ministry of Defence. Managing director Des Good said: "The DRP Group can take Grosvenor to the next level. While remaining as a niche specialist production house we will have all the significant resources of the group to call upon, allowing us to manage much larger projects." Dale Parmenter, group managing director of DRP, added: "This is a very exciting time for our video division. Grosvenor joining the DRP family will allow us to significantly bolster our offering in London. It’s vital that we allow our new team to grow the business, while maintaining a very personal style of customer relationship they have become renowned for." Earlier this month, DRP Group has reported a record year in 2013, with a £16m turnover, up £6m year-on-year, and a net profit of £1.8m. In 2013, the agency opened its purpose-built studio production complex in the midlands and delivered large conferences for clients ENRC and JCB. DRP Group also opened an experiential division following a number of new recruits.